SANDPOINT, ID -- Alaska's Gov. Sarah Palin, chosen by Sen. John McCain to be the Republican party's vice presidential candidate in the November elections, was born right here in Sandpoint, Idaho, on February 11, 1964. Although Sarah Palin only lived here for three months before her family moved to Alaska, her father Chuck Heath grew up in Hope, and graduated from Sandpoint High School in 1956. Chuck taught in Sandpoint schools in the early 1960s before moving to Alaska in 1964 with his family, including his wife Sally. Chuck still holds some track records at Sandpoint High, and was inducted into the Sandpoint High School Hall of Fame. His daughter, Sarah Palin, grew up in Alaska, and returned to Idaho to attend the University of Idaho in Moscow, graduating in 1987 with a degree in journalism. 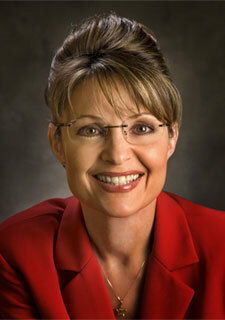 Palin also attended North Idaho College in Coeur d'Alene for the 1983-84 school year. Palin is the first woman to be nominated for vice president as a Republican and only the second to run for vice president on a major party ticket, after Democrat Geraldine Ferraro in 1984. "To have been chosen brings a great challenge," Sarah Palin said. "I know that it will demand the best that I have to give and I promise nothing less."